The design work on this realistic baseball cap is impeccable! Link to ➡ Tutorial and file resources. 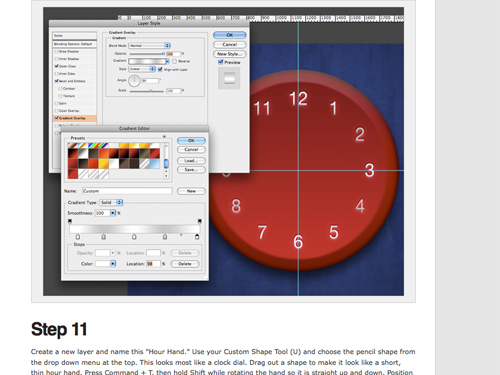 How grateful am I for the fabulous designers out there who take the time to create awesome tutorials for us!! Visit ‘New Evolution Designs‘ for all the details. This tutorial will teach you basic to advanced keyboard shortcuts, all while designing an amazing timepiece! 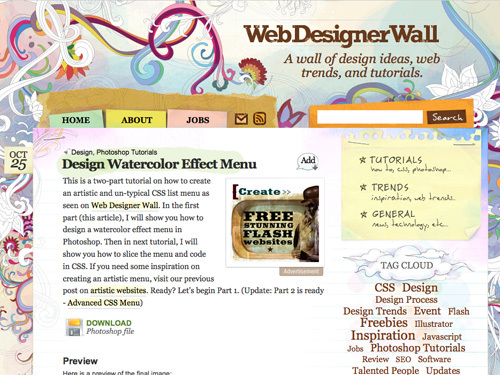 A two-part tutorial on how to create an artistic and un-typical CSS list menu as seen on Web Designer Wall.